President Kersti Kaljulaid's awarding of 112 high honours this year, recognising those, both home and abroad, who have served the Estonian state in a variety of ways, is a return to a more conservative approach initiated by her predecessor, Toomas Hendrik Ilves. Whilst the president awarded 166 honours in 2018, this higher figure came as the country celebrated its centenary. The previous year, the figure was 113, one more than this year. The highest number of honours to date, presented to 834 people, came in 2006, when Arnold Rüütel was president. Lennart Meri had approached that figure during his last year in office in 2001, when he decorated just under 800 worthies. 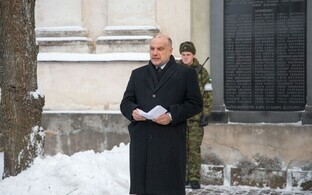 President Meri was the first to start issuing state awards, in 1995 and following the Decorations Act of the previous year, which reinstated the system of national honours which had existed during the First Estonian Republic, between the two world wars. That first year saw only 35 honours being given out, principally during visits of foreign dignitaries (or the Estonian president's visits abroad). 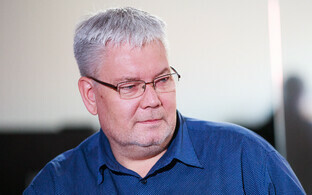 However, a brand new award, the highest in the land so far as being awarded to non-Estonian citizens, in fact, was initiated by President Meri, the Order of the Cross of Terra Mariana (Estonian: Marjamaa Rist). 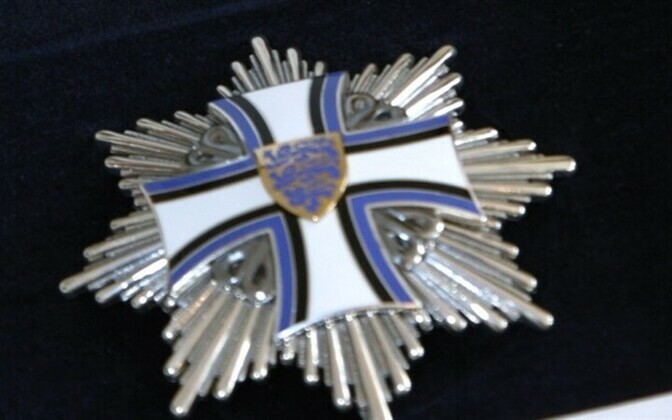 The first Order of the Cross of Terra Mariana was bestowed on President of Finland Martti Ahtisaari in May 1995, during President Meri's state visit to Finland. From 1996, the annual tradition of presidential decorations marking Estonian independence day began, and the numbers of honours started to rise, hovering around the 300-450 mark in the early-mid 2000s and seeing a spike in 2006 as noted. Toomas Hendrik Ilves, president for the maximum of two terms (2006-2016) started to dial down the honours awarding, from a total close to 600 over the first couple of years of his presidency, to just under 100 per year over the remaning eight years, a figure which President Kaljulaid has more or less maintained. President Ilves did not present a higher number of decorations during his final year in office, as his predecessor Arnold Rüütel had. The very first state decoration, the Freedom Cross, was instituted in 1919, the year following Estonian independence. Its recipients were primarily those who had served in the Estonian War of Independence of 1918-1920. The award ceased to be given from 1925. Whilst the original intention had been not to decorate citizens during peacetime, a U-turn came in 1920 with the Order of the Red Cross, still awarded today. In 1936, the Order of the Cross of the Eagle, a military honour, was adopted as a state award, as were the Order of the National Coat of Arms, a civilian award for Estonian citizens, and the Order of the White Star, which can be bestowed on both Estonian citizens and those of other states. All three of these honours are to be presented by President Kaljulaid on 22 February, including US Gen. and NATO Supreme Allied Commander Curtis Michael Scaparrotti, who will receive the Order of the Cross of the Eagle, First Class. NATO Secretary-General Jens Stoltenberg will be the recipient of the highest award possible, The Order of the Cross of Terra Mariana, First Class. All the presidential honours are to be presented at a ceremony at the Arvo Pärt Centre in Laulasmaa, west of Tallinn, two days before Estonian Independence Day. Kersti Kaljulaid became head of state in October 2016 and is the first female president, as well as the youngest, at the time of her appointment. Estonian presidents are not elected directly, but elected by the Riigikogu, or by rounds of elections in the regional electoral college. In President Kaljulaid's case, three rounds of Riigikogu voting followed by two rounds in the electoral college proved inconclusive, after which she was brought in as a single candidate, elected at the Riigikogu by 81 votes with 17 abstainers. Her previous role had been as Estonia's representative in the European Court of Auditors in Luxembourg, where she had worked for 12 years. Presidential elections are held every five years; a president may serve a maximum of two terms. The next presidential elections will be in 2021.